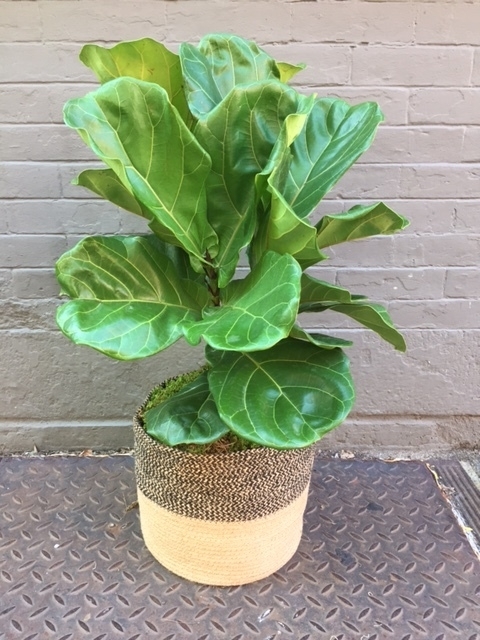 Our plant pick this week is a favorite among our staff and customers - the Fiddle-Leaf Fig tree! These trees are native to western Africa, and grow in lowland tropical rain forests. They are available in both a topiary and bush style, ranging from about 3 feet to 6 feet tall. While the fiddle-leaf can have a bit of a difficult reputation, the trees really just need a very bright room with as much direct sunlight as possible and away from any drafts (such as heating or air conditioning vents). They should only be watered when the soil is wet to the touch, or thoroughly once a week.